See bottom of this thread for materials from the meeting!! Please join us at NAB 2019 for our Birds of a Feather meeting where we’ll present some important ACES release and process announcements, as well as hold a group discussion on the ACES development roadmap…you don’t want to miss this! Refreshments will be served. Please feel free to invite others in your organization. This will be a great opportunity for everyone in the ACES community to input and hear the latest thinking about the future of ACES development and features. We look forward to seeing you. We are too! Spread the word…all are invited. 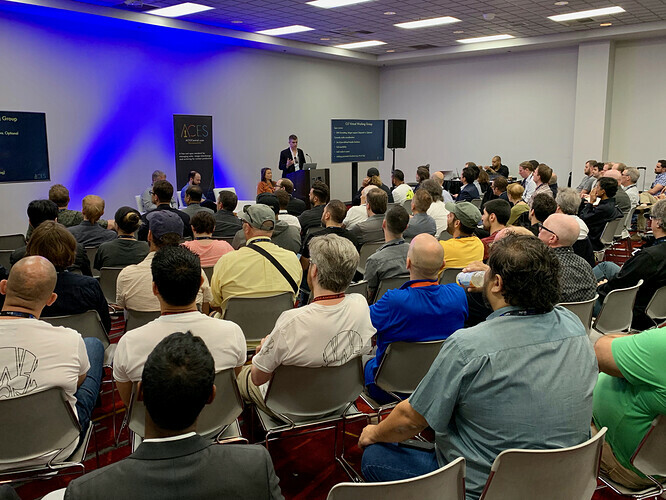 Article on our ACES session at NAB. Will publish the presentation deck shortly! Here is the PowerPoint deck from the NAB 2019 Birds of a Feather meeting.